Henry Lloyd Moon--a second-rate outlaw with a third-rate gang--learns the hard way that it doesn't pay to tease a posse. After crossing the border to Mexico, Moon stops to laugh at the pursuing posse. The sheriff pauses for a few minutes, then rides across the river and arrests Moon. Following his delivery to the jail in Longhorn, Moon is sentenced to hang. However, on the way to the gallows, he finds out about an usual local ordinance. Any single woman can save a condemned man by marrying him. Moon becomes ecstatic when an elderly woman proposes marriage--but, unfortunately, she dies before they can be hitched. With the noose around his neck, he is saved a second time when the attractive Julia Tate "claims" him. She makes it clear that the marriage is strictly a business proposition because she needs help on her farm. However, since the two characters are played by Mary Steenburgen and Jack Nicholson, it's pretty obvious how the plot will unfold. Made in 1978, the story behind the making of Goin' South is more interesting than the film itself. Elliott Gould and Candice Bergen were originally cast as the leads, with Mike Nichols attached as director. That production never came to fruition and the script sat on the shelf. 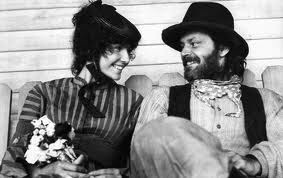 Meanwhile, Jack Nicholson was developing Moontrap, an adaptation of Don Berry's 1971 novel about a former mountain man's adventures in the Oregon Territory in 1850. Nicholson wanted to direct Moontrap, but not star in it. He eventually relented and agreed to take a supporting role in the hope of getting the film made. Yet, despite his efforts, Nicholson could never bring Moontrap to the screen. Christopher Lloyd and John Belushi. When the opportunity to direct Goin' South came along, Nicholson took it. With the exception of newcomer Steenburgen, Nicholson surrounded himself with cronies: co-writer John Herman Shaner; production designer Toby Carr Rafelson (director Bob Rafelson's ex-wife); producer Harry Gittes (who worked with Nicholson on Drive, He Said); One Flew Over the Cuckoo's Nest co-stars Christopher Lloyd and Danny DeVito; and Nicholson's frequent co-star Luana Anders. 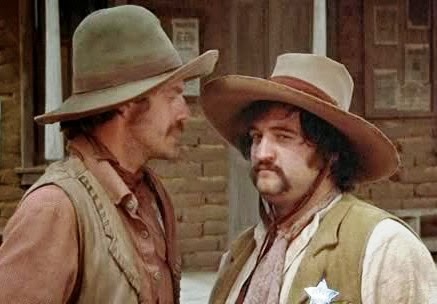 There are even more familiar faces in the rest of the supporting cast, to include: Veronica Cartwright (Alien, The Birds); John Belushi (playing a Mexican deputy); Richard Bradford (Man in a Suitcase); Anne Ramsey (who would later team with DeVito in Throw Mama from the Train); and Ed Begley, Jr. 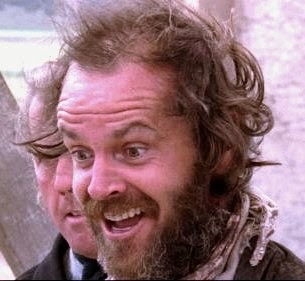 In a recent interview with the Café, Cartwright described working with Nicholson the director: "Jack is just nuts. He’s great. It’s like one big giant party." Surprisingly, that approach doesn't show up on the screen; the first hour of Goin' South is a pleasant romantic comedy effectively played by Steenburgen and Nicholson. However, once their characters' love for one another is established, the film loses momentum and lumbers to its conclusion. In Dennis McDougal's biography of Jack Nicholson, Five Easy Decades: How Jack Nicholson Became the Biggest Movie Star in Modern Times, the author notes Nicholson's disappointment that critics and viewers ignored that Moon's gang were social miscasts. He quotes Nicholson: "(They were) all members of Quantrill's Raiders, the original guerrilla warfare unit in America. And what do you do with these people once they're home?" Jack Nicholson followed up Goin' South by starring in The Shining. Kubrick's film prevented Nicholson from doing Melvin and Howard. However, he lent a copy of the script to Mary Steenburgen while making Goin' South. 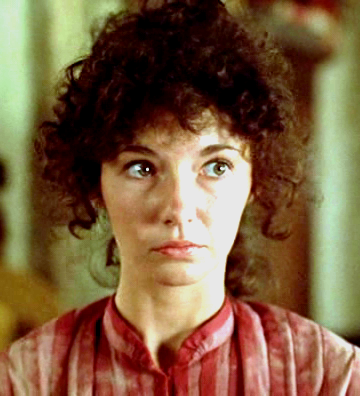 She later won a Best Supporting Actress Oscar for her performance in Melvin and Howard. I think this film is interesting because of all the actors who show up in small roles. It is also a unique way to meet a spouse, when one is literally at the end of the rope! Rick, I am with with on this film. I could never warm up to it, and I wanted too badly, because of Jack and John Belushi. Both were riding 'high' on their careers at the time. Too bad, the end results were not better that they all deserved. 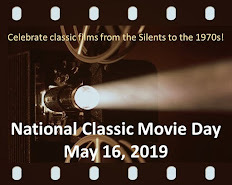 Here it is 40 years later, and watching it for the first time. So, cant yet judge it fully. Its on grit as I type. We Describe the Movie...You Name It!